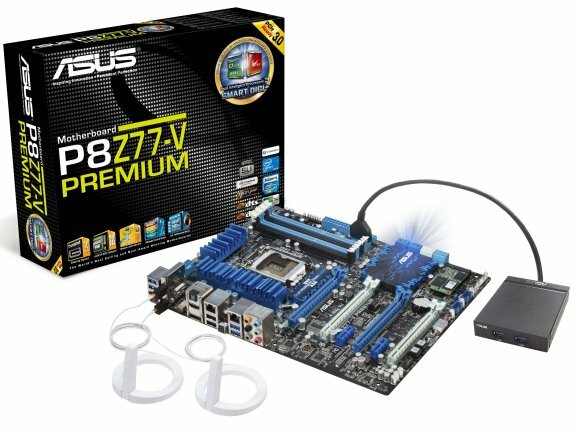 Further demonstrating its market leading innovation, ASUS has announced the launch of its P8Z77-V PREMIUM motherboard — the flagship of the P8Z77 Series and the first Intel certified motherboard in the market to offer the latest Thunderbolt connection interface. 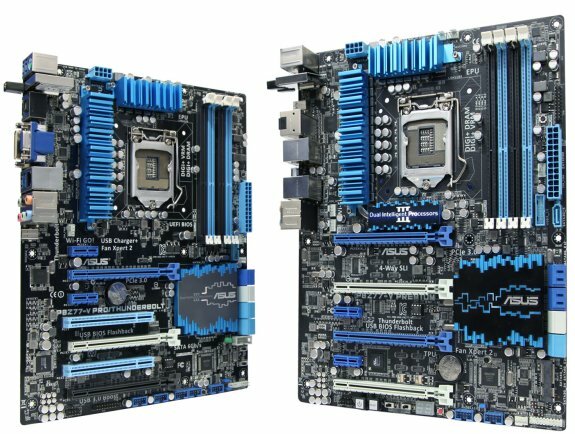 The PREMIUM designation has been reserved for only the best motherboards with the latest technologies, and the P8Z77-V PREMIUM maintains this standard. In addition to the onboard Thunderbolt connection on the P8Z77-V PREMIUM, ASUS also offers the same technology on the P8Z77-V PRO/THUNDERBOLT to give consumers a wider range of choices. Intel and Asus have worked closely on the implementation of Thunderbolt™ technology onto their motherboards, said Jason Ziller, Intel Director of Thunderbolt Marketing. 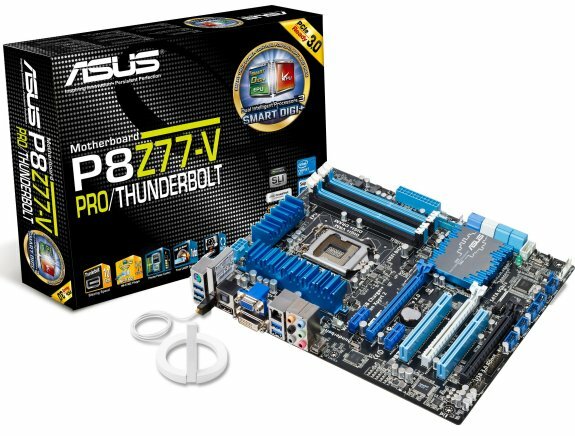 It is our pleasure to state the P8Z77-V PREMIUM is the first Thunderbolt certified motherboard in the industry, a testament to its solid design and compatibility. The ASUS P8Z77-V PREMIUM is the first Thunderbolt motherboard to be certified by Intel, showing its strength in the industry. Thunderbolt is a new, high-speed I/O technology designed for performance, simplicity and flexibility, with lightning fast transfer speeds that are twice that of USB 3.0 and up to 20 times faster than USB 2.0. It offers simultaneous bi-directional, 10 Gbps transfer speeds over a single cable, with the flexibility to daisy-chain up to six Thunderbolt devices with a single connection for a clutter-free computing experience. Users can connect multiple Thunderbolt-enabled external storage drives to a Thunderbolt-enabled display and transfer files while watching HD movies, all without experiencing any lag. The title of PREMIUM carries certain expectations, and as such, the P8Z77-V PREMIUM motherboard boasts several new features, such as true 4-way NVIDIA® SLI™ and 4-way AMD CrossFireX™ on the latest PCIe Gen 3.0 slots for maximum graphics performance. Also introduced is advanced SSD Caching II, allowing users to cache additional frequently used programs and files using multiple SSDs to instantly upgrade system performance. A 32GB mSATA based SSD is also onboard, enabling Intel® Smart Response and Rapid Start Technology™ for super-fast boot up and resume times. Network traffic is expertly handled by a pair of Gigabit Intel LAN ports, ensuring lag free transfers and streaming entertainment. Dedicated to providing the latest innovations, the P8Z77-V PREMIUM and P8Z77-V PRO/THUNDERBOLT provides users with the best and most complete solutions available, such as DIP3 with SMART DIGI+ Power Control, Wi-Fi GO! and Fan Xpert 2.